Tire Brands in Decatur, AL | Minor Tire & Wheel Inc. Looking for long lasting, brand-named tires at unbeatable prices? Minor Tire & Wheel Inc. in Decatur, AL has the tire for you! Free & easy tire quotes! Minor Tire & Wheel Inc. offers a diverse selection of quality tires from the industry’s top tire manufacturers. We are committed to bringing you the best selection and competitive prices for the best tire value. We offer quality tires from major tire brands such as: Bridgestone, Firestone, Michelin, BFGoodrich, Carlisle, Fierce, GBC, General, GT Radial, Hankook, Pirelli, Roadmaster, Titan, Uniroyal, Continental, Cooper Tires, Dunlop, Falken, Goodyear, Kelly Tires, Kumho Tires, Mastercraft Tires, Yokohama, and Toyo. BFGoodrich is a prominent name in the tire industry with over a century of experience in developing quality tires. BFGoodrich stands on a tradition of innovation. The company has been a leader in innovations with early developments such as tubeless tires and contributions to the aerospace industry. Relied upon by drivers for exceptional engineering and performance enhancement in any vehicle, BFGoodrich tires feature dependable grip, superb handling and toughness. BFGoodrich enhance the driving experience. Bridgestone tire design has been inspired by the racetrack, with tires developed to reduce road noise. Bridgestone passenger and performance tires offer driving comfort and dependable handling in all types of road conditions. Bridgestone light truck and SUVs tires are a great choice for both commercial and recreational use. Bridgestone all season passenger touring tires feature excellent wet handling and braking capability. Exceeding the expectations of the most demanding driver, Bridgestone tires are an excellent choice for any vehicle. Firestone is a trusted name and a dependable choice for all types of driving. Firestone offers reliable handling in all weather conditions, with contouring performance, improved gas mileage, and long lasting tread life. Firestone is an established and trusted name in the tire industry with quality tires for cars, SUVs, light trucks, and commercial vehicles. The Firestone line includes Firehawk, Winterforce, Destination, and Transforce tires. Goodyear has been a tire innovator since the company began over a century ago. Today, Goodyear is among the world's largest tire makers and are the number one tire manufacturer in North America and Latin America. Goodyear makes a vast variety of quality tires to suit a wide range of vehicles. The Goodyear name is trusted for precision and quality. The Goodyear line includes many tire types including car tires, light truck tires, SUV tires, and crossover tires. Since 1909, Mastercraft has meet the needs of a wide range of drivers with a full line of passenger, light truck and medium truck radials. Part of the Cooper Tires family, Mastercraft is known for long-lasting, high performance tires including ultra-high performance tires designed for enhanced grip, superb cornering and excellent handling. The Michelin name dates back to the Michelin Rubber Factory, founded in 1888. Michelin has since grown to be the world's largest tire manufacturer. Michelin tires are designed with an unsurpassed combination of long-lasting tread wear, fuel-efficiency, and safety for passenger cars. Luxury performance Michelin tires further enhance these advantages by offering a more comfortable ride and responsive handling. Michelin produces high performance tires for light trucks and sport/utility vehicles providing dependable grip, durability, and long wear life. Michelin winter tires are a safe and reliable option for excellent traction and handling for winter driving. First established in 1917,Yokohama has a comprehensive research and development team that focuses on materials development, product design, testing and evaluation. Yokohama is known for being the innovator of the world’s first environmentally-friendly tire. Manufactured from orange oil and other naturally-derived components, these tires significantly reduce the need for petroleum. A green tire manufacturer, Yokohama has developed an environmentally responsible tire that also delivers on performance. 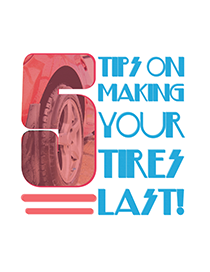 Download our 5 Tips Guide to making your tires last! Check out how we help save you money! Reasons to Choose Minor Tire! Minor Tire & Wheel Inc.